a personalized 401k, 403b or TSP portfolio. Sign UpTry it free for 60 days! So we can personalize your portfolio. Let us assess the available funds. Visualize your future with Kinetik. Don't leave money on the table that is rightfully yours. We don't let high fees get in the way of your wealth goal. 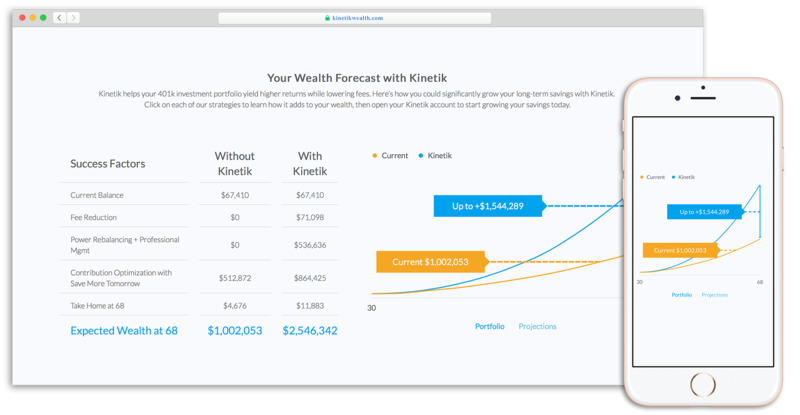 Kinetik seeks low portfolio fees so your money stays invested in your future. We build a diversified portfolio to balance risk and return. Kinetik adjusts your portfolio as your risk tolerance changes. 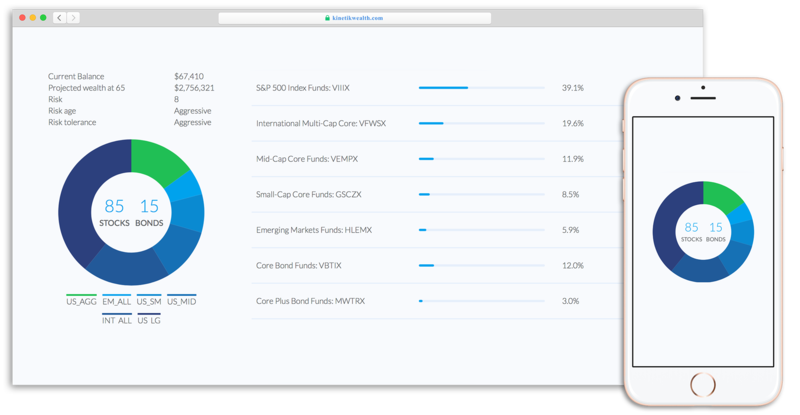 Our methodology is rigorous, but our goal is simple: build a personalized portfolio that aims to maximize your return for your risk tolerance. Building wealth is more than a great portfolio. It is a choice. Drive your wealth strategy with Success Factors. 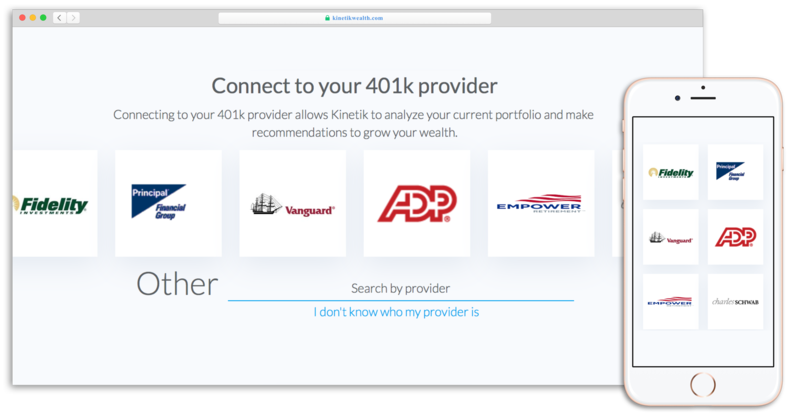 We make the complex process of 401k management simple. Sit back and relax. Let the experts guide your wealth building journey. You're always informed with Kinetik's mobile and desktop views of your portfolio and progress. We handle the day-to-day management of your portfolio. Kinetik is a fiduciary. We have no conflicts of interest and are not compensated based on the funds selected. We work for you and your best interest alone. We work hard to make sure Kinetik is secure to grow your wealth. Most Americans have fewer than 1,250 paychecks to create wealth. Let us get you started on your wealth building journey.